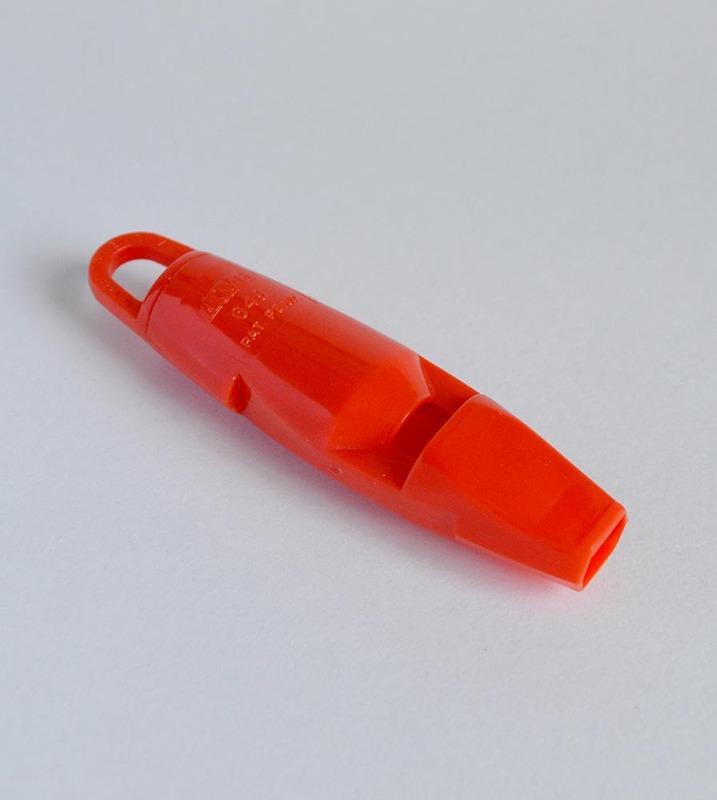 Life saving/rescue and distress whistle. S.O.L.A.S. approved, British Admiralty and NATO approved. For carrying dual frequency designed to stand out from background noise. Will not adhere to the skin in sub-zero temperatures. Tough construction, food grade shatterproof plastic. Easily blown, important if you are young, elderly, injured or cold. The first attempts to produce moulded whistles from a material known as vulcanite, in 1906, were unsuccessful. But in 1914 as bakelite started to develop as a moulding material, the first early plastic whistles were made. These opened up new vistas for whistle makers with colours and designs that had not previously been dreamt of. Art-deco, the age of jazz, saw the Hudson's catalogue swell to over 300 different models, many of them plastic and now highly collectable. In 1949, the world's first life-saving whistle, for use on life-jackets and flotation devices, was developed and patented. Another new area for whistle makers to explore.